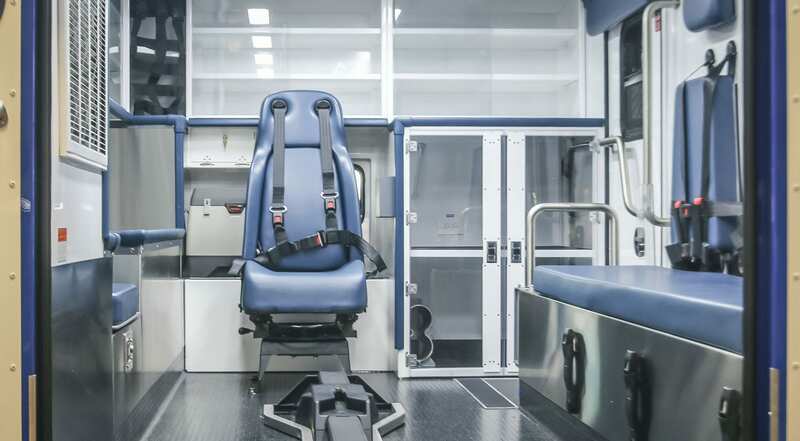 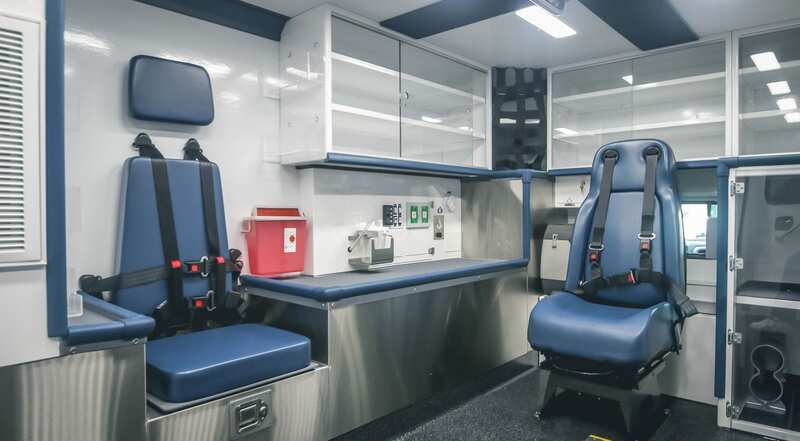 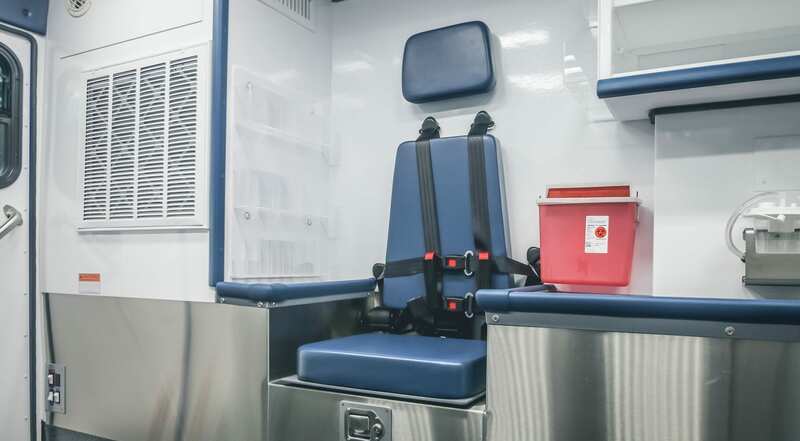 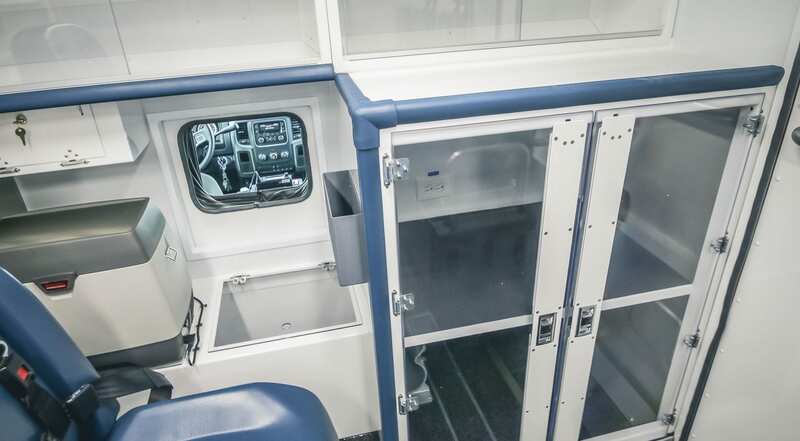 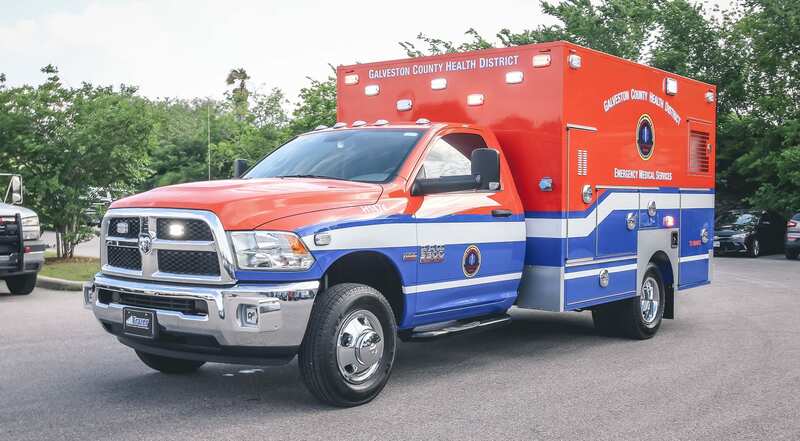 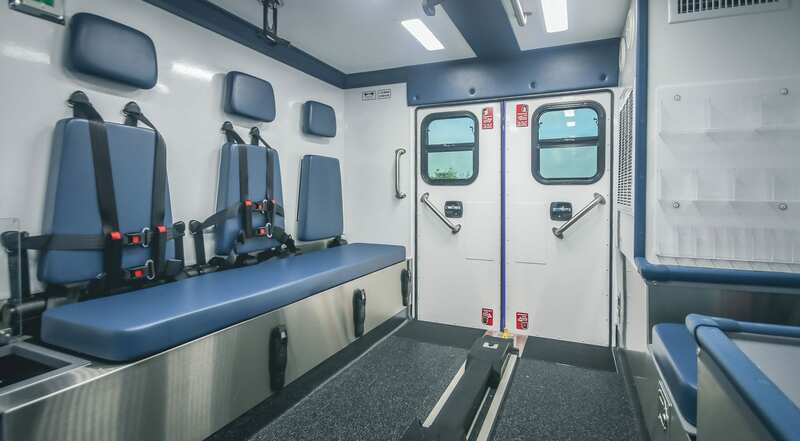 Customer Delivery - Galveston County Health District - Frazer, Ltd.
Take a virtual tour of the latest emergency vehicle custom built for Galveston County Health District. 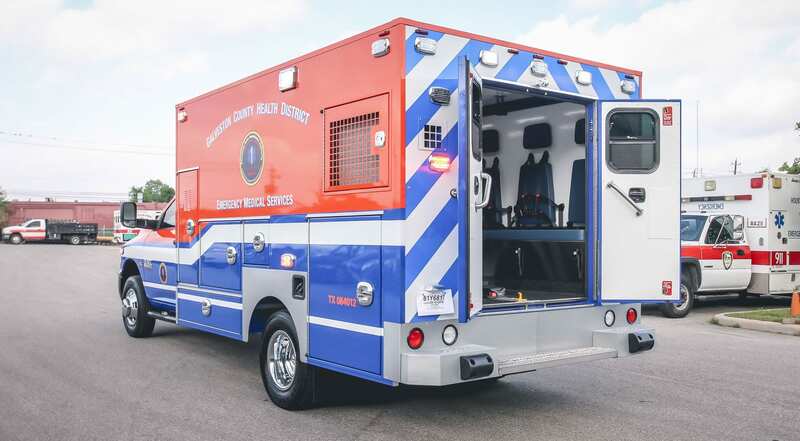 This custom 12 ft. type I EMS vehicle is mounted onto a RAM 3500 gasoline chassis. 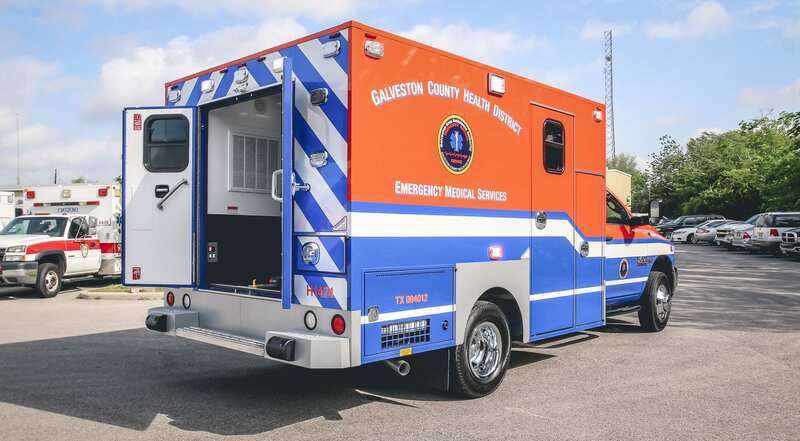 Visit the Galveston County Health District website for more information on the services they offer. 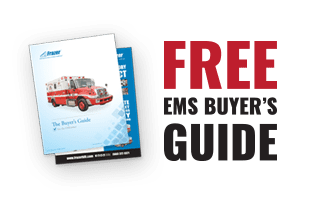 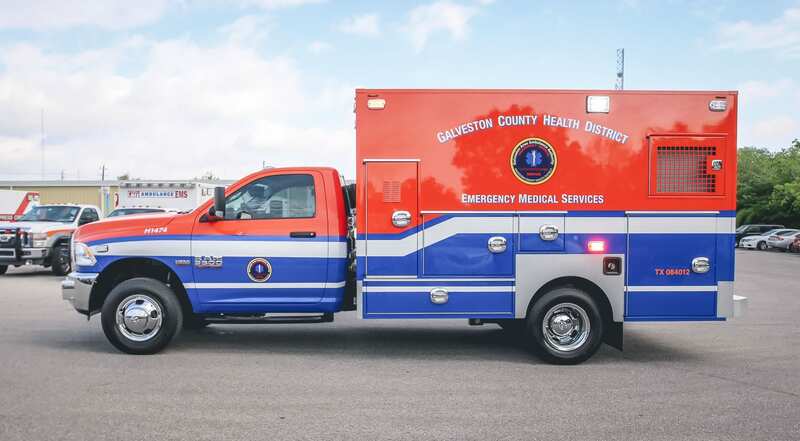 Galveston County Health District EMS, also known as Galveston Area Ambulance Authority (GAAA) and Galveston EMS (GEMS), has provided life-saving service to the residents of Galveston Island since 1975. 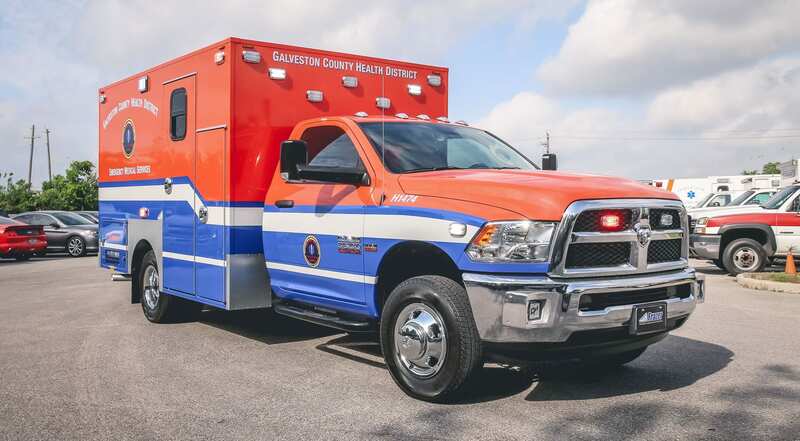 Galveston County Health District EMS has grown a lot since then and now serves 156 square miles of Galveston County.